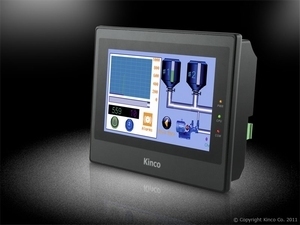 MT4434TE Kinco HMI Touch panel 7"Inch TFT. Kinco HMI Ethernet RJ45 com RS232/485/422 USb slave, Host interface. Euro 345.00 Netto ex btw.